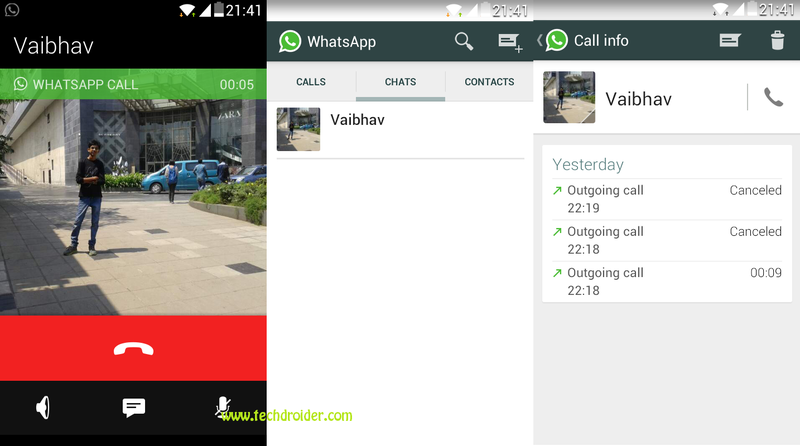 As few weeks ago Whatsapp launched Calling feature , through which we can make free calls through Whatsapp via Internet connection . Whatsapp Calling feature is officially available for Iphone Users while it is rolling out slowly through Invite Option for Android users . You will get Calling feature on Your Whatsapp after getting an invite by a user who has already Calling feature on his Whatsapp . Note - Please don't comment your numbers as i myself cannot invite anyone ! Even I have updated latest version 2.12.7 still not able to call. I get calls from friends.